 Buying a new home is one of the largest purchases you are likely to make in your lifetime, so here at Fox Sales and Lettings we have put a guide together to make this as easy and trouble free as possible for you. Identify the four or five Agents who deal with the sale of suitable properties in the area you would like to live. Telephone each Agent individually and register on their mailing list. Sadly some Agents are much better than others at keeping you informed about new properties. It is often a good idea to create a personal relationship with one of the Negotiators who will hopefully keep you informed of any hot properties coming onto the market. If you are looking for a property outside of Leicestershire then you can usually subscribe to the local Newspaper who will send you a copy on a weekly basis. Regional papers with Property Guides tend to come out on a Thursday. Although, in theory, all properties will be on the Internet, it is often easier to identify new properties from the newspapers. Furthermore, properties do sometimes appear in the newspaper before they appear on the Internet. In our experience the internet rarely does justice to individual properties and it is too easy to dismiss a house which may actually fulfil your criteria. The Internet is an efficient way of looking for properties. Agents tend to have their own Web Sites and there are also a number of National Sites that collate details of properties from thousands of agents. Rightmove is by some distance the easiest to use and has the most comprehensive selection of houses. We would recommend prospective purchasers use Rightmove and do not bother with the other sites.Consider registering with these web sites for automatic updates by e-mail when new properties come onto the market. We will be delighted to give you any advice we can in your search for a new home. Viewings: We are often surprised when purchasers only view a property once before buying. We suggest at least three viewings at different times of the day. It is important that you know the effect of rush hour traffic, for example, and where the sun is in relation to the garden. Has the property sold recently? Establish if the property has sold recently and if so for how much. This information is available on www.rightmove.co.uk. It maybe important for you to know what catchment area you are in for schooling. This information should be available from the local council. You can look at the Ofsted results on www.ofsted.gov.uk. Is the property listed? If the property is an older property, it is important that you know whether it is Listed. Also, check whether the house is in a conservation area. If the house is Listed or in a Conservation Area this will restrict what you can do to the property. See the property in detail. It is useful to see a detailed plan of the property as you can tell what is around. You may, for example, be closer to a factory or railway line than you expected. If you look on www.planningportal.co.uk and then look at the Harborough Plan (Proposals Map) you can identify individual properties throughout Leicestershire. Negotiating and making offers. It is difficult to generalise about how best to make an offer. We would suggest that you do not make an offer until you are in a position to proceed. The Vendor may then be more receptive to a lower offer. Before making an offer, establish whether any other offers have been made and what the Vendor's plans are; this may have a bearing on negotiations. Do your homework to establish what is a fair price. Make an offer subject to fixtures and fittings, such as carpets and curtains being included. If you have any special requirements, agree them with the Vendor at the offer stage. Surveys. It is important that you do not scrimp on the survey. A basic mortgage survey will probably not uncover any problems affecting the property.